Part Six Seize the Daisies CAL is now up on the Deramores Blog. There was a little delay in it being published but its there now – phew! This is the final part of the CAL – I can’t believe we are at the end already! This week we are going to join our squares together in five rows of five squares. I’ve used slip stitching through back loops as the joining method, but you can use another method if you prefer. Once all the squares are joined we will work a wide border. You can work the first part of the border in whichever colour layout you like as there’ll be enough yarn of each colour left. 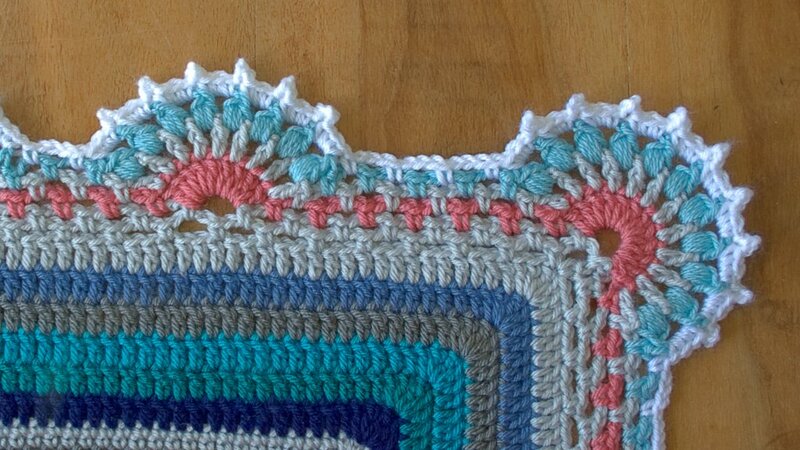 The second part of the border uses the colours we used for the flowers to work a frilly edging. The edging is similar in construction to the flowers we made for part 3, using puff stitches and picots, for a really snazzy finish. 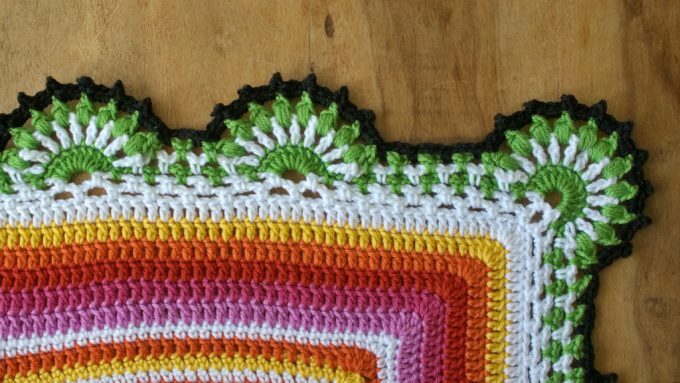 I hope you’ve enjoyed the design and making your Seize the Daisies blanket!! I can’t wait to see your finished blankets! You can get in touch with any questions or queries you may have here and if you’ve missed any of the parts you can find the links on my Seize the Daisies CAL page.